Derek is a co-founder of Eventi Capital Partners and currently is Chairman of Environics Research Group Limited, one of Canada’s leading market research and polling organizations. He is also President of his own private holding companies, B & R Associates, and D. Ruston Holdings Inc. As an entrepreneur, Derek is a highly regarded angel investor, having been involved in over thirty start-ups in his career, from hi-tech to hedge funds to a winery in California. Real estate is a core interest. 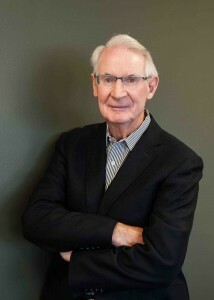 He has owned and operated a variety of commercial and residential properties here in Toronto and in the United States. He is currently President of Honeywood Properties and Whitetail Properties which own and operate a portfolio of commercial and residential projects in the Toronto area. Derek is also a founding partner in Robert Craig Winery, a top tier Napa Valley winery, producing internationally recognized wines. Prior to joining Environics, Mr. Ruston was a management consultant with McKinsey and Company in Chicago and Toronto, and a Senior Partner of Peter Barnard Associates in Toronto.